I am very happy to announce that ENSPAC has employed PhD Mikkel Bille as an associate professor, associated with the strategic research initiative Designing Human Technologies. Mikkel gets this position among many qualified, not at least international, applicants. His background is MA (Cand.mag) in Near Eastern Archaeology from Copenhagen University 2003, MA in Material & Visual Culture from University College London (UCL) 2005, PhD and M.Phil in Social Anthropology also from UCL 2009. He has had several academic positions and has been assistant professor at the Department of Cross-cultural and Regional Studies, Copenhagen University, the last three years, working on the project The Everyday life of Light: A Comparative Ethnography of Domestic Atmospheres funded by the Danish Research Council for Humanities. Mikkel has broad experiences in teaching, while he has also been engaged in developing new programmes in Urbanity / Urban Culture studies at Copenhagen University. Meanwhile, he is also internationally acknowledged for a number of journal articles, while the book Materialitet: En indføring i kultur, identitet og teknologi (2012) co-authored with Tim Flohr Sørensen is well known in Denmark. I am really looking forward to welcome Mikkel, and I know Mikkel looks forward to come to ENSPAC, work with people here and contribute to the strategic research initiative. More information can be found on Copenhagen University’s profile page. 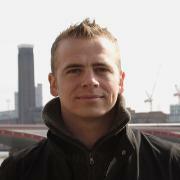 Mikkel starts February 1st 2014 and his teaching will mostly be in the Humanities and Technology Bachelor’s Programme.